It’s billed as the “most exciting sport you’ve never heard of”, which might explain why the Stihl Timbersports World Championship was news to us. 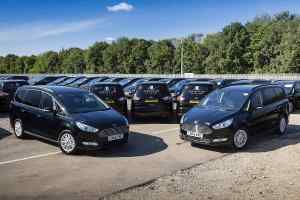 Indeed, had Volkswagen not supplied the competition with a fleet of commercial vehicles, we’d still be none the wiser. We’ve spent some time on the Timbersports website and can say with some conviction: kids, don’t try this at home. Timbersports is made up of six events: three with an axe and three with a saw, which replicate traditional lumberjack skills. The athletes must work against the clock, smashing through logs and sending sawdust into the air. This weekend, competitors from 21 nations headed to Liverpool to be judged on their strength, endurance and technical ability. As headline sponsor, Volkswagen Commercial Vehicles was on hand to provide transport for the VIPs and athletes during the competition. 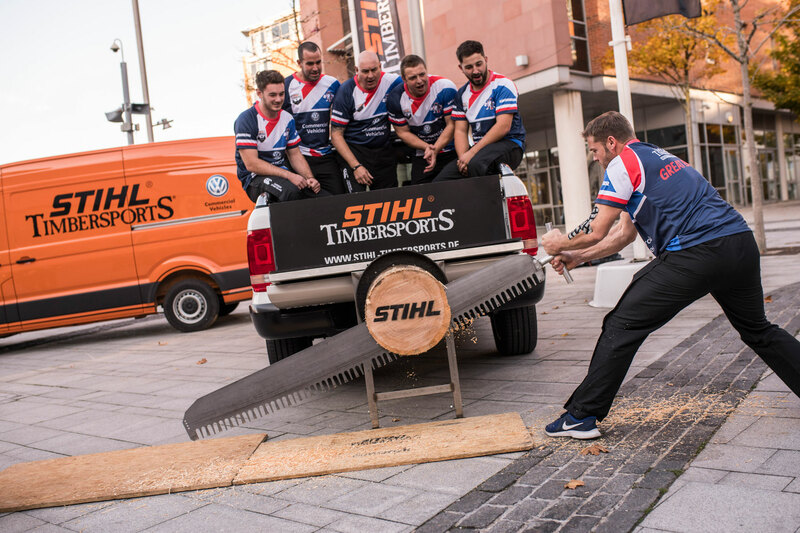 Kate Thompson, head of press and public relations at Volkswagen Commercial Vehicles said: “It was great to be in Liverpool and to see such a wide range of our vehicles helping to keep the Stihl Timbersports tournament moving. Paul Sumalowitsch, a spokesperson for Timbersports, said: ‘We are absolutely thrilled to have had Volkswagen Commercial Vehicles on board as a sponsor for the World Championship. Lumberjack sports date back to 19th century Australia, so it was perhaps fitting that the country dominated the 2018 event. Not only did Team Australia win Friday’s Team Relay Event, but Australian Laurence O’Toole cut through the pack to scoop the individual title. If you’re a lumberjack and you’re okay, a Crafter, Caravelle or Amarok might be just the ticket.